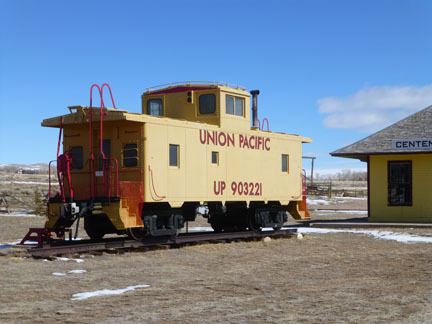 This 1944 Union Pacific caboose probably never ran on the tracks from Laramie to Centennial, but it’s representative of one that might have been here. It was donated to the museum by the Union Pacific and was moved from the tracks on the north side of the highway to the museum on the south side on March 21, 1985, and dedicated on July 7, 1985, the 78th anniversary of the arrival of the first train in Centennial. This caboose was built by the Pullman Company, and is open to visitors.